Since January 2014, the previous “Medicare Teen Dental Plan” has been replaced by the new Federal Government dental scheme, the “Child Dental Benefits Schedule”. The scheme is designed to assist around 3.4 million children between the ages of 2 and 17. This scheme allocates $1000 towards any eligible child’s dental treatment over 2 calendar years for most dental services. 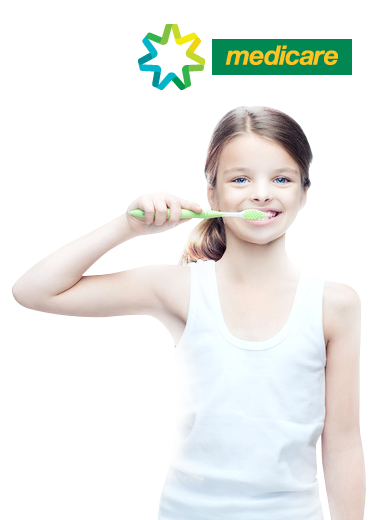 How can we can help your Child’s Dental Hygiene? As a quality provider of General Dental services, the team at Dental One can arrange for a consultation to discuss the services available for your children to ensure they have the best oral hygiene. At the time of the appointment, we’ll discuss your child’s treatment and any associated costs with you before providing the services. After this has been discussed, you will need to sign a consent form. We will arrange to bulk bill you on the day for any services performed under the Child Dental Benefits Schedule. This means no out of pocket for services performed under the scheme up to the available limit which is set as $1000 per eligible child over 2 calendar years. Eligible families, teenagers and approved care organisations will receive a letter to confirm eligibility.